Some do not know their credit score. Some wish it were better. Many do not know there is a specific score you need to know in order to qualify for a home loan. The main credit scoring system people will be familiar with is the VantageScore. This score, which is rounded up from credit bureaus TransUnion, Equifax and Experian, takes into account your credit activity in the past two years. Those familiar with Credit Karma, which offers free credit checks with no strings attached, uses this model. The new system of VantageScore has been upgraded so the credit scale is now 300 to 850, instead of 501 to 990. Collection accounts that have been paid off will not negatively impact this newer system and having scores that go as low as 300 help people build up their credit, or help people be on the financial radar if they are new to the system. The factors that beef up a Vantage credit score involve keeping a variety of credit types over time, paying timely, reducing debts, and important factors like available credit amounts and low balances. One tip to getting or keeping a good credit score is to make sure the totals you owe on credit cards do not go over 30 percent of your credit limit. With this in mind, there is another scoring model you may not have known you had. 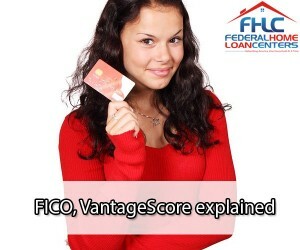 FICO was the pioneer in credit score measurement, with the VantageScore being created by the credit bureaus to compete. 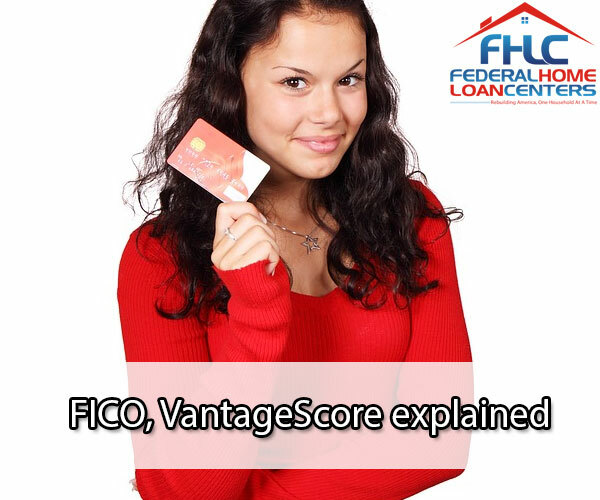 The FICO score also comes from the three credit bureaus, like the Vantage model. The scoring system is accounted from five different factors, listed from most to least influential: payment history, amounts owed, length of credit history, new credit, and types of credit being used. They will range either from 300 to 850, or 250 to 900. Associates in our office who go over applications often find that Vantage scores will be higher than FICO scores, and that most people aren’t even aware of their FICO score. Lenders usually take more value in the FICO score than Vantage. People who do not know their credit score, or believe they already have it, can sometimes be nervous about what a credit pull will do to their scores. A lender will do a hard inquiry to pull your true credit score because you want a home loan. Though the pull will take a few points away from you, the drop is only temporary. A soft inquiry is used for background checks for companies or even offers of credit (preapproved credit cards for example). These inquiries, unlike the hard inquiry, can happen without your permission but will not negatively impact your credit score. Why does your credit score go down when you do a hard inquiry? Is it a punishment for wanting to know what your credit score is? The reason this occurs is because it acts as a discouragement from people being reckless with lines of credit. When too many credit pulls occur, credit bureaus may view this as an irresponsible action and that you are trying to obtain too much credit in a short period of time. Two hard credit pulls a year is the recommended limit from Credit Karma. How much exactly is a hard credit pull going to cost you? FICO will take 5 points from you for one pull, but thankfully, they lump together multiple inquiries within a 45 day consecutive run into one inquiry. This is because they are aware people often do loan shopping for big investments like homes and cars. For the Vantage system, a hard inquiry will cost one to five points, but the pulls aren’t as significant on your credit history as your trail of timely payments is. If you are disappointed in your score and want it to go up, pay off your balances before you buy anything unnecessary with your lines of credit. Stick to only what you need – food, shelter, transportation, and if truly needed, clothes. Stop using your credit cards momentarily and stick to only using cash. This will help you keep track of what is spent or being spent when you physically see the money leaving your wallet. Sites that will offer you Vantage credit scores for free when you are a client can come from Credit.com and USAA. FICO scores will be provided to clients from Discover, JPMorgan Chase, Bank of America, and Ally Financial. We have detailed information on flexible, no or low down payment government loans! For info on the FHA home loan, click here. For info on how to apply for a USDA home loan, click here. For info on the VA home loan, click here. You can also use our chat feature at the bottom of this page to reach an associate in our office! Or call us at 877-432-LOAN. Follow Federal Home Loan Centers on Twitter and like us on Facebook.